Desire is a powerful feeling full of energy. It's the first step in igniting change in your life when you're feeling stuck. Desire moves you forward. 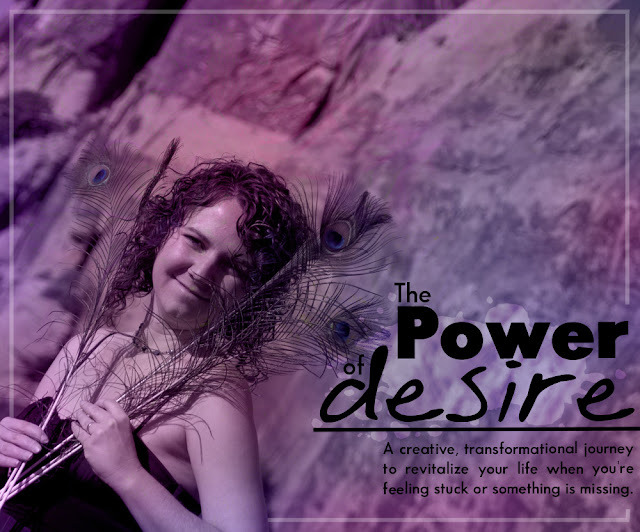 The power of desire can help you intentionally create transformation to revitalize your life. Using the Soul Art® process, life coaching techniques, and creative exploration, I guide you to uncover your deeper desires and find YOUR answers to fulfillment. Each person's journey is unique, your answers to fulfillment won't look like my answers. We dive deep into your own inner world to invite lasting change. I have personally used these processes for almost 5 years. In that time I've uncovered my authentic self. I've gained the confidence to fully pursue my deeper desires and step through the fears that have held me back in the past. I've learned how to completely trust myself and live from a more connected, intentional place. I'm excited to guide you to do the same in your own life. The Power of Desire is a journey of self discovery and transformation that is one part journaling, one part creative exploration. No art experience is necessary as we start very simple and build but an experienced artist will gain a new perspective. Registration will close Sunday, August 7 and class will open Monday, August 8 with introductory information and exercises to get warmed up. Then each Monday after, you'll have access to new class material for the week. This will include written information, video, or guided mp3 audio depending on the week. Personal growth can be uncomfortable at times and amazingly ecstatic other times. By engaging in this course, you are making a commitment to your own transformation. You will only get out of it what you put in, so please commit to showing up and taking the action needed. I am here with loving care to support you.